It is that time of year that we are getting ready to (or already have) put up our Christmas trees, so of course, decorating them is a very important part. 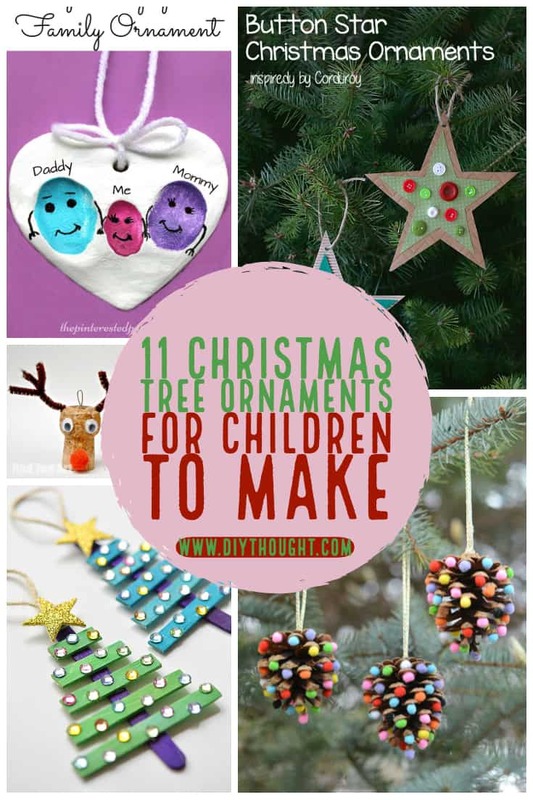 Make something special for your Christmas tree this year with these 11 Christmas tree ornaments for children to make. Make a new decoration every year for a special reminder of the years gone by. Looking at past decorations and helping to create new ones with children creates a truly special feeling over Christmas. 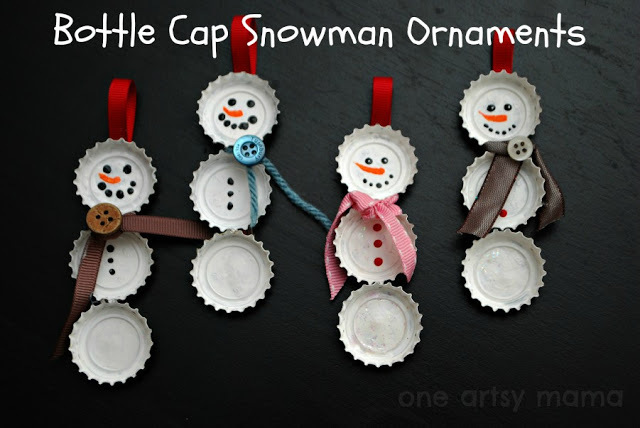 These bottle cap snowman ornaments are just the cutest and such a great way of using up all of those spare bottle caps! Follow this link for the full tutorial. 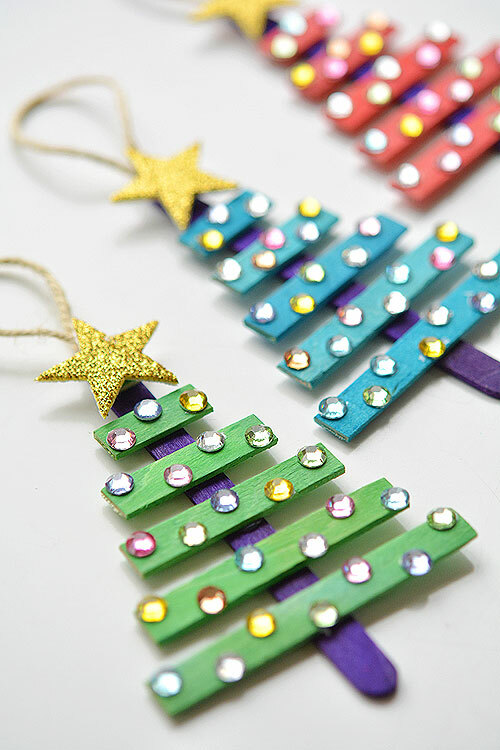 These are bright and funky Christmas tree ornaments for children to make. 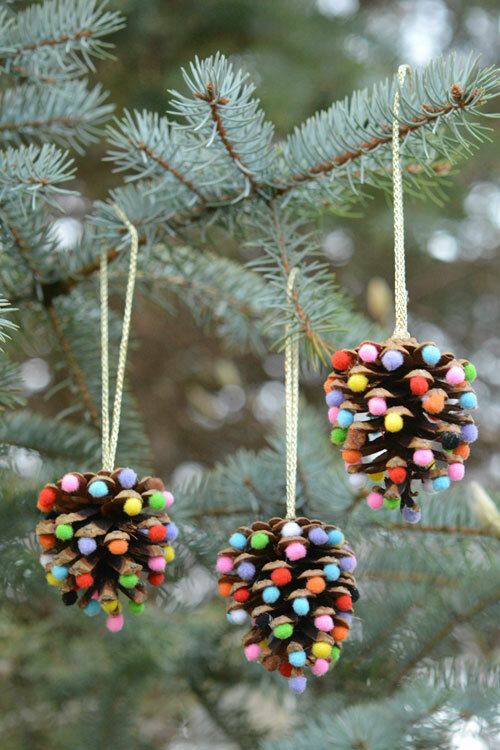 These pom pom pine cones will stand out and look fantastic on the tree. Read more about them here. 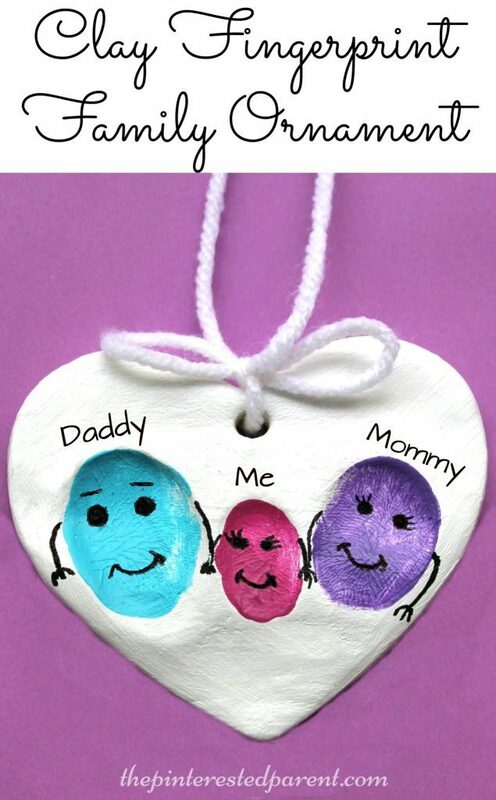 This adorable clay fingerprint family ornament is a fun way to to be reminded about the importance of family over this time of year. This ornament will be cherished for years to come. Click here to find out more. This ornament would be perfect to make every year. I would love to see a Christmas tree covered with these ornaments once the children had grown, showing how they have changed over the years! Find out how to make them here. 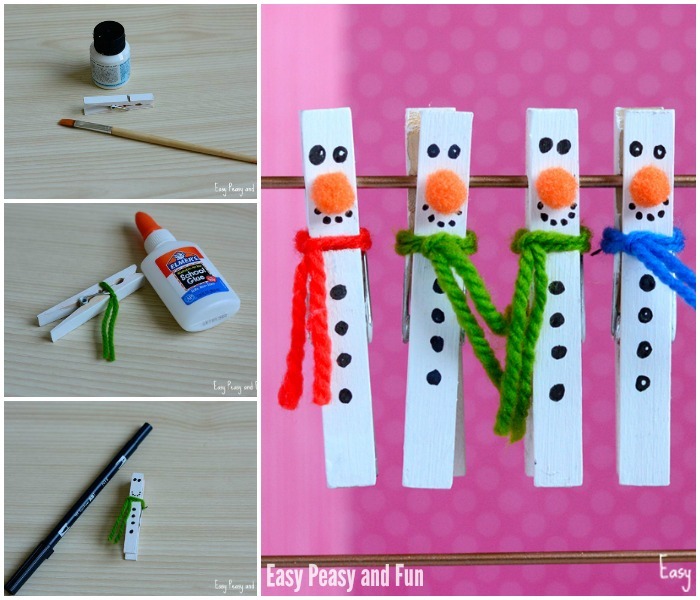 I love how quirky and fun these clothespin snowman are. They are very simple to make which make it perfect for the younger child. Read more about these clothespin snowman here. 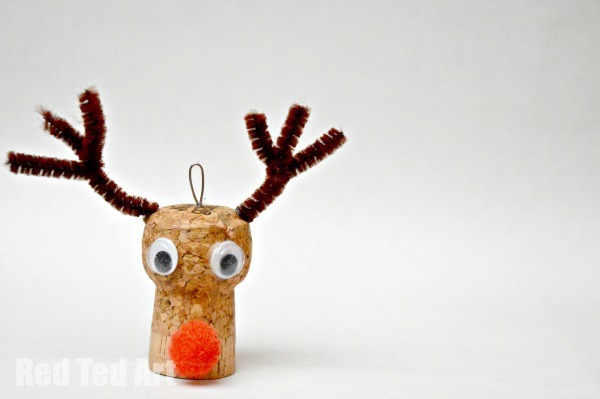 Sure to be popular with all children is this cute Rudolf the cork reindeer ornament. These are the perfect way to use up old corks! Click here to find out how Rudolf is made. 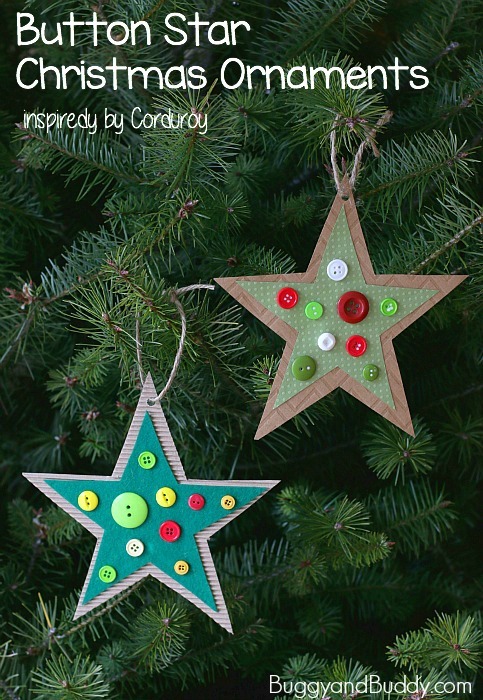 Christmas tree ornaments don’t get much simpler than this lovely button star ornament. 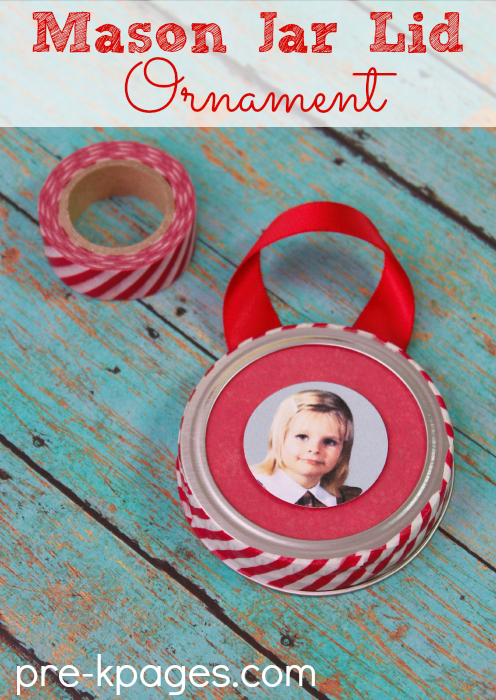 What I love most about this ornament is that I already have everything on hand required to make them! Follow this link for the full tutorial. 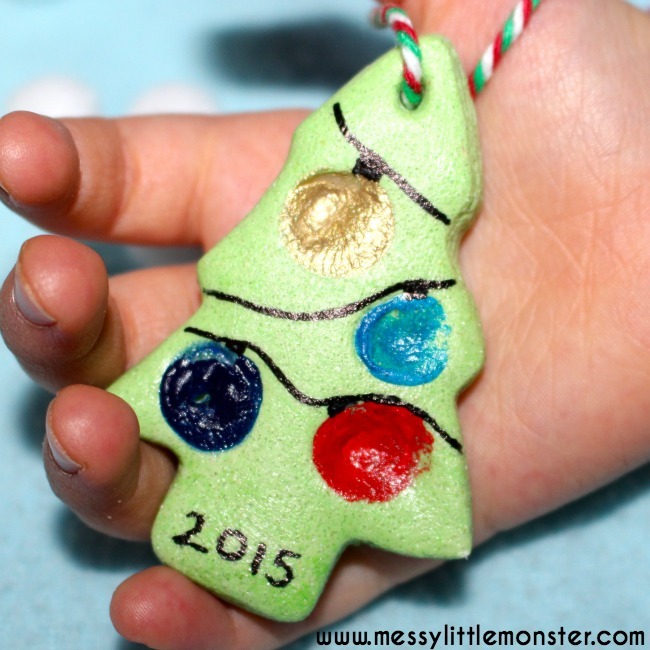 The kids will have fun decorating these Christmas tree ornaments. Also shown is one of these Christmas trees decorated in pom poms. Click here to view the full tutorial. Continuing with the tree theme we have this cute salt dough finger print tree. Find out how to make it by clicking here. These candy cane ornaments are made by threading beads onto a pipe cleaner which is fantastic for children’s fine motor skills. The name beads are fun but children will have fun creating a candy cane from any beads they have available. Get more information here. 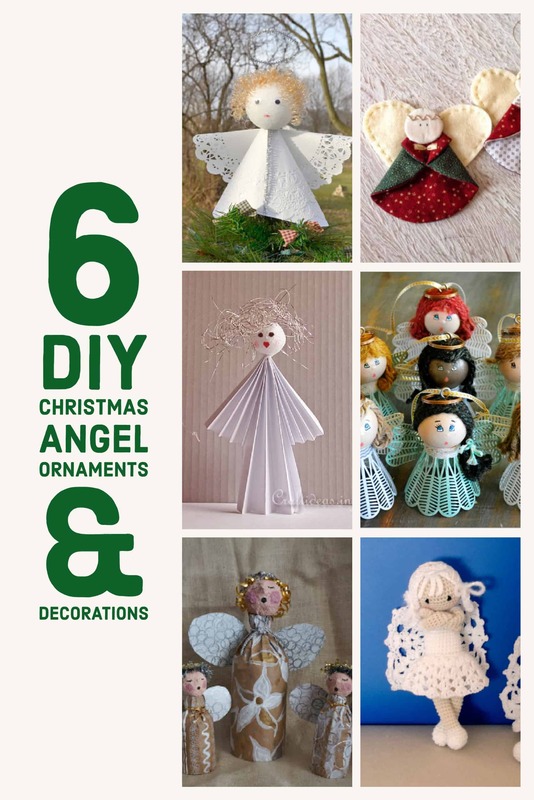 Our final of our Christmas tree ornaments for children to make is this beautiful nativity ornament. A perfect ornament to complete your Christmas tree with. Source found here. We love the wishing tree and nativity scene also! Thank you for your comment.